↵ Enter is permanently bound to chat; it can be bound to other commands but the chat window will interfere when you press it. See Unbind Enter key from chat. Open Attributes.xml with a text editor. Locate <Attr name="PC_togglechat_1" value="27"/> and change 27 to -1. 10 Can be played solo or with a partner. ↑ 2.0 2.1 File/folder structure within this directory reflects the path(s) listed for Windows and/or Steam game data (use Wine regedit to access Windows registry paths). Games with Steam Cloud support may store data in ~/.steam/steam/userdata/<user-id>/594650/ in addition to or instead of this directory. The app ID (594650) may differ in some cases. Treat backslashes as forward slashes. See the glossary page for details. 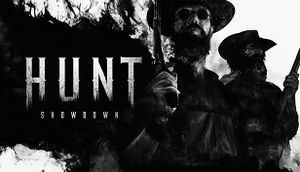 ↑ Hunt: Showdown General Discussions :: Anyone else using ENTER as an interaction key?